Hello, this is my first English language page. I’m happy that someone in Planet KKND 2 contacted me. At last my work is not in vain, someone knows about it. KKND 2 is a real-time strategy game, developed in 1998, by Melbourne House and Beam software. If you want to know more about the game, please go to Planet KKND 2. 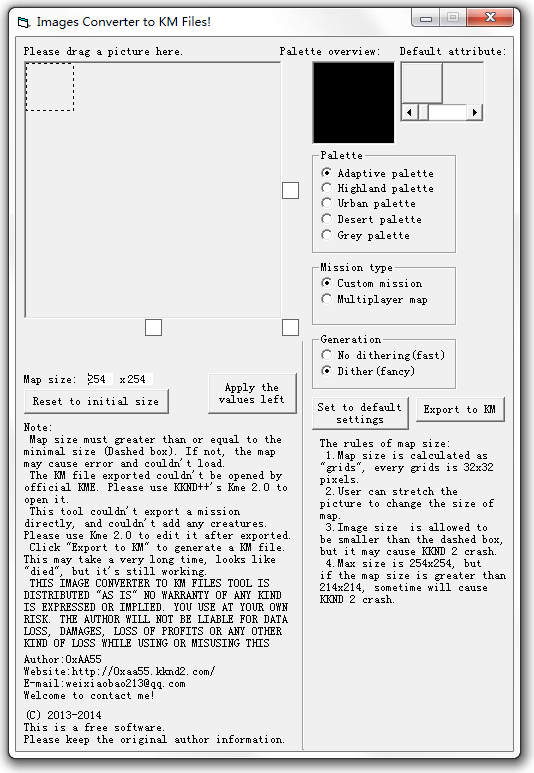 This tool is offers convenient tileset editor which the original KME failed to offer. This is the English version of the KP Editor adapted from the Chinese version that I originally created. 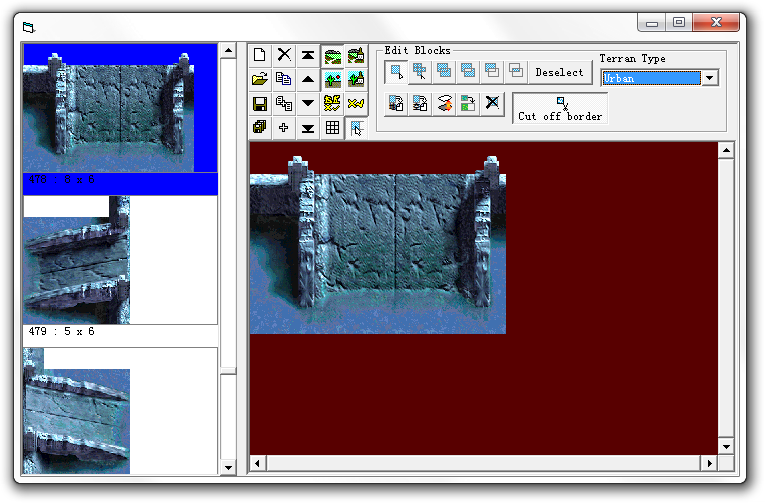 The KP Editor is a useful tool to edit tilesets used in the KKND 2 Mission Editor (KME). This tool can combine multiple KP files, add new tiles and convert old KP files to the format which is compatible to the newer and more robust: KME 2.0 designed by KKND++. 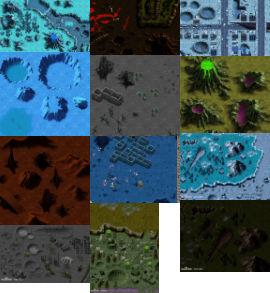 I hope this editor will help more people create new custom maps for KKND 2 with their own tile set creations! This tool is used to convert images into a KM file. Most images types can be converted. You may choose to play a different game and use a screenshot capture of the map and convert it to a KM file. This will allow you to play this map in KKND 2. KKND++’s KME 2.0 Editor with my fantastic KPs! I have created some fantastical KPs, generated using my tools. I have put these together using KKND++’s KME 2.0 (a new editor that can create and modify KKND2’s custom missions). Believe me, KME 2.0 is much better to use than original, official version of KME! The official KME can only be run in Windows 95, 98 and ME, it’s creature library is incomplete. The new KME 2.0 allows for new creatures missing from the original and will run on all modern versions of Windows. These KPs which can be opened using KKND++’s KME 2.0. I’m a non-profit programmer. So, if you like the tools, please donate!